I know its been a little while since I last posted. I took some time off to be with family and friends over the holidays and also had some computer problems which was making it extremely hard to post. *sigh* Anyways I am back and will hopefully be able to post a ton this week to make up for that little hiatus. 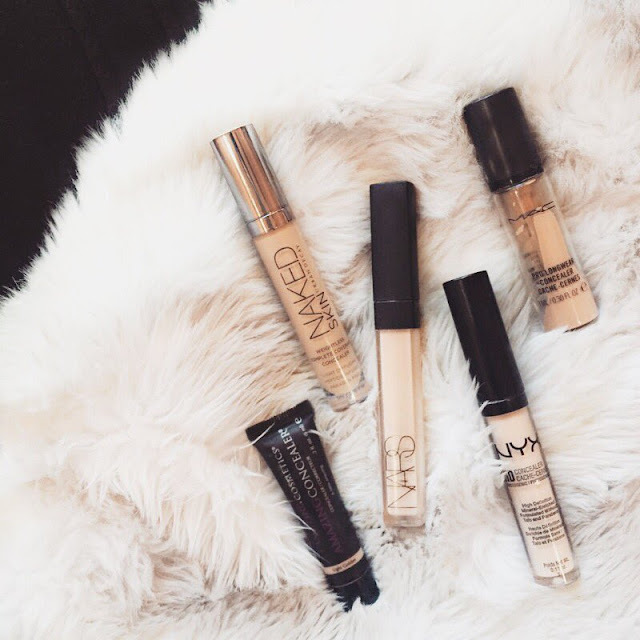 With that being said, today I will be talking about my top 5 concealers! All the concealer's I have pulled have very different purposes that we will go over today. From spot concealing to highlighting these are my top five. Amazing Concealer has a complexion-perfection, highly-pigmented formula that gives a natural-looking finish and full coverage for everything from dark circles to blemishes. Available in amazing shades, Amazing Concealer provides full coverage without the feeling of wearing any makeup at all. Its high-performing, water-resistant technology covers every skin imperfection including: dark circles, broken capillaries, redness, blemishes, sun damage and more. 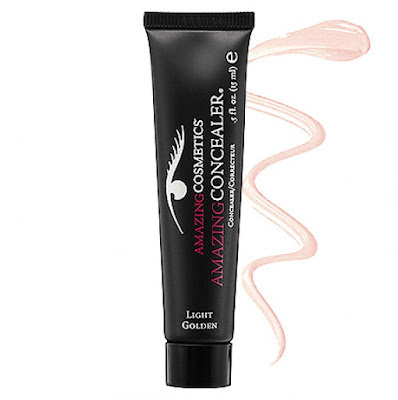 The favorite of professional makeup artists, celebrities and enthusiasts from around the world, Amazing Concealer is considered the "magic-eraser" that will transform your skin, into amazing skin. The Amazing Concealer by Amazing Cosmetics is my favorite concealer for spot concealing. This helps cover any imperfections and discoloration on the face. It is extremely high coverage and a less is more with this product. Perfect to cover dark circles and any kind of redness on the face. You only need a very minimal amount of product to cover a lot, because of this even the smaller size bottle will last you forever since you only need a small amount. I highly recommend to any one who wants a long lasting, full coverage concealer. 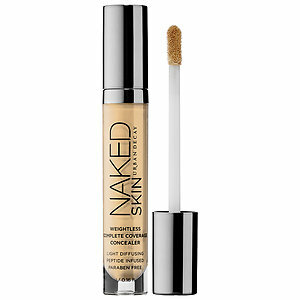 We loaded Naked Skin Concealer with lots of ingredients that are good for your skin. Matrixyl 3000 contains anti-wrinkle peptides to improve skin’s youthful appearance and elasticity. Japanese green tea revitalizes and helps reduce the appearance of fine lines. Litchiderm™ (derived from lychee fruit) protects against dehydration, resulting in a brighter, more radiant complexion. And sodium hyaluronate helps skin attract and retain moisture.Practical and travel-friendly, this formula comes in a gorgeous bottle that’s like a smaller version of our Naked Skin Liquid Makeup component. The modern flocked applicator lays down just the right amount of product, and it’s soft enough to use on the delicate skin under the eyes. This Is my current favorite concealer!! 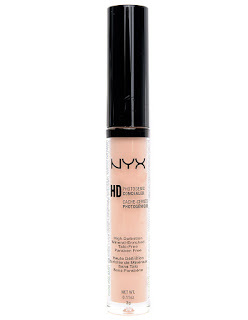 It is a medium to full coverage, that hydrate's instead of looking cakey under the eyes. It can be used to highlight and cover under the eyes. I use it everyday under my eyes in a "V" shape to highlight and minimize dark circles / redness. This concealer doesn't really highlight all that well as it is more of a full coverage and I tend to use lighter brighter concealers to highlight. A creamy concealer with hydrating, multiaction skincare benefits and light diffusing technology to create a softer, smoother complexion. Ideal for all skin types, Radiant Creamy Concealer is a multiaction formula that instantly obscures imperfections, blurs the appearance of lines and wrinkles, and hides dark circles and signs of fatigue. Hydrating and luxuriously smooth, it layers lightly for buildable medium-to-full coverage and a natural luminous finish. The multiactive botanical blend hydrates, firms, reduces redness, and strengthens the skin by helping its barrier retain vital moisture. It also delivers antioxidant protection to protect the skin against damaging free radicals. Skin becomes visibly smooth, soft, and more even-toned. Mineral tone balancing powder works to optically correct, not mask, imperfections to keep skin looking flawless. A single stroke of Radiant Creamy Concealer keeps the complexion looking fresh and creaseless. It goes on smoothly, blends easily, and stays in place all day. Comfortable and hydrated, skin glows with new radiance over or under foundation and looks beautiful—even when bare. This product is crease-proof, long-wearing, dermatologist tested, and non-comodeogenic. It is free of alcohol and fragrance. Little wonder the Concealer Wand is one of NYX's best-sellers. The concentrated, emollient-rich concealer formula goes on like a dream, is non-comedogenic and creates medium to heavy coverage. Use the lavender for sallow skin, the green to neutralize redness and the yellow for under-eye darkness. This is my favorite brightening / highlighting concealer. I use the lightest color and use it to brighten the under eye. 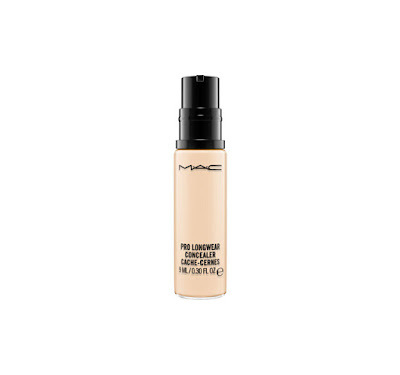 It has a very light feeling on the skin, yet is a nice medium coverage. MAC Pro Longwear concealer has been a favorite of mine for years. Its a very fluid texture with a pump applicator. It is light but full coverage. Very natrual finish. I use it under the eyes to highlight natrually.